While most digital agencies are still working their head around their awkward holiday promos, Mother London is not wasting time and has jumped straight ahead into 2012. The agency is selling 100 shirts that come complete with a personalized psychic prediction for the wearer. Los Angeles-based psychic Lucinda Claire has used her spiritual powers to predict the destiny for the future wearer. The prediction has been printed on each shirt and is available for purchase at PsychicTees.com. Each t-shirt costs £100, and all proceeds are to be donated to Age UK, the UK’s largest charity for the elderly. As for sizes, the site copy explains that if the purchaser receives a size that does not fit them, perhaps it was actually meant for another. Sadly, it sounds like a SOL. 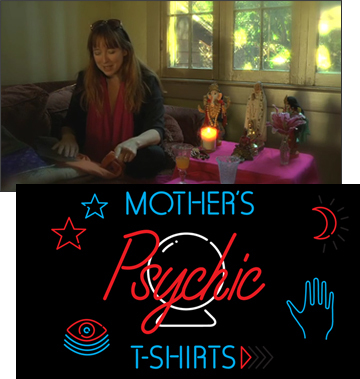 A full audio clip of the Lucinda’s psychic reading is available to the buyer once they’ve received their shirt.